July 26th in Plugin Lists by Wordpress Jedi . 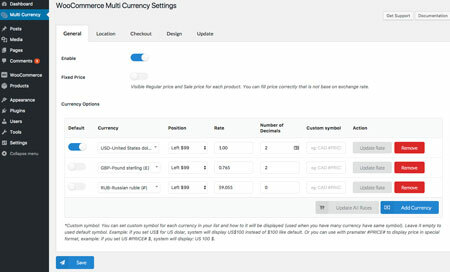 WooCommerce Multi Currency: a simple plugin that lets you display prices and accept payments in multiple currencies. 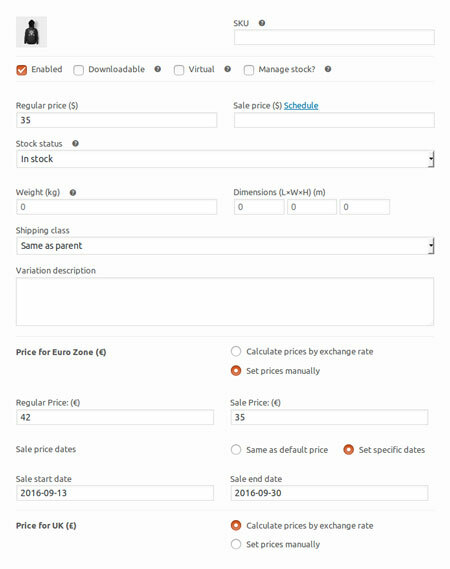 It automatically updates exchange rates and lets change price formatting and symbols. Woo Multi Currency: comes with country switcher widget, auto exchange rate calculation, and everything you need to receive payments in different currencies. 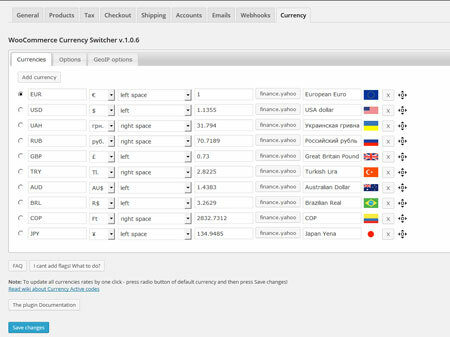 WooCommerce Currency Switcher: available as a widget and shortcode. Lets you switch to different currencies and have them converted in real-time. Ultimate Multi Currency Suite: automatically sets currency using geolocation. You can also allow people to choose their preferred payment currency. It is compatible with PayPal and other gateways. 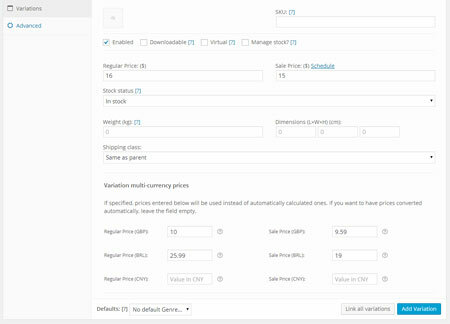 WooCommerce Price Based on Country: lets you sell products in multiple currencies. It automatically detects the country of each visitor. Lets you set prices manually or calculate them with an exchange rage. Have you found other extensions to handle payments in multiple currencies? Please share them here.